Good things do come in small packages as this feisty post-Christmas Rainbow shows. My daughter, son-in-law and I got out for the morning on the 27th and enjoyed the warm satisfaction of fighting fish all morning instead of being at the mall fighting for 50% off something we didn’t need anyway. Merry Christmas and Happy New year to all! 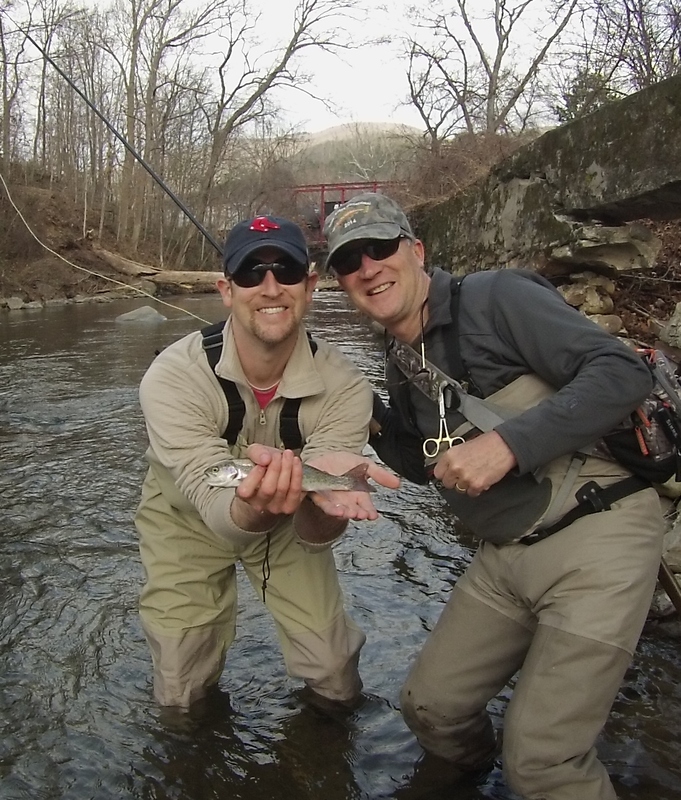 This entry was posted in Uncategorized and tagged Asheville Tenkara news, guides, tenkara, tenkara fishing. Bookmark the permalink.